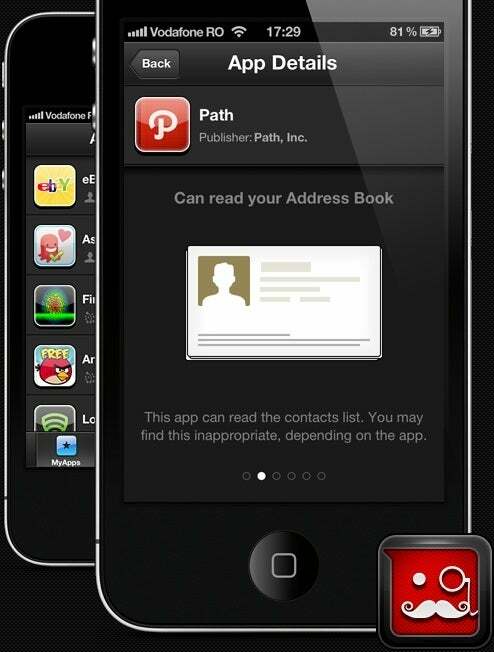 Apple has given the boot to BitDefender's Clueful, a privacy monitoring app for iPhone, iPad and iPod Touch. Clueful shows users what types of personal information other apps may collect, drawing on an analysis of more than 65,000 popular iOS apps. BitDefender found that 41.4 percent of apps tracked users' locations, and nearly 20 percent accessed users' address books, in some cases storing that data without notification. Clueful checks the user's list of installed apps against the analysis. But after an initial approval and launch in May, Apple removed Clueful from the App Store. In a press release, BitDefender said it's still studying Apple's reasons, and didn't offer any other explanation. The company has not responded to a request for comment from PCWorld. The problem may be that Clueful doesn't monitor users' apps directly, and instead relies on a separate analysis of the App Store. As CNet points out, Apple's review guidelines prohibit “incorrect diagnostic or other inaccurate device data.” By drawing on an external study of only popular apps, Clueful's warnings may be prone to inaccuracy or omissions. Lookout spokesman Remi Harrad declined to comment on why the company doesn't offer Privacy Advisor on its iOS app. He also wouldn't comment on why Apple might have removed Clueful from the App Store. Unless Apple lets Clueful back in the App Store, users won't have an easy way to view their apps' data collection policies--at least until this fall. With the launch of iOS6, Apple will add new privacy settings, so users can control location services, contacts, calendars, reminders and photos on a per-app basis. Apps will also have to ask permission before accessing any of these services. Once iOS 6 rolls out, the loss of Clueful will be a moot point.